Guts Casino is one that has been developed and is operated by, a group of individuals who are professionals in the iGaming industry. They have come into the online casino industry with a new approach. They offer all of the exciting gameplay that casino players expect. Their focus is placed on providing flawless user experiences. This casino has made sure they are right on par with the selection of games that they offer. Although they are only relying on a small number of casino software providers, they have chosen the best, and some of the most popular. Slots games are a must have at any casino. Players of these games like a good selection and Guts Casino has made sure there are plenty to choose from. When it comes to jackpot slots, players here will get to choose from twenty-two of the most exciting high jackpot slot games. There is a massive and varied selection of table games to be found at Guts Casino. The large selection shows how serious this casino is about providing a good online casino experience. Within the main categories of games like blackjack, roulette and poker, there are several different versions to keep the gameplay interesting. Many casinos only have a limited number of live casino games to choose from. This is not the case with Guts Casino. Here there is a selection of 25 live play games. These fall within the categories of blackjack, baccarat and roulette, along with a variety of exciting poker options. Mobile play for Guts Casino is not with the use of apps. Instead, the mobile version is offered through their responsive website, which is compatible with most mobile browsers. 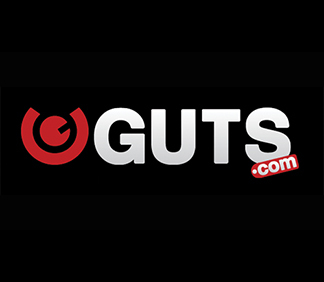 Well-known software providers are powering the Guts Casino, who consist of NetEnt, Microgaming and Betsoft. Payouts are a priority for this online casino site, with the mandate of processing payouts within six hours of the request. Deposit choices are Euteller, Paysafe, Visa, Simpler, Skrill, Neteller, Sofort, and Interact. Withdrawals can be made with the same provider used for deposits, assuming it is acceptable. There is the convenience of being able to play at this casino site using a variety of currencies which include euros, Norwegian krone, pound sterling, US dollars, Canadian dollars, Australian dollars and Swedish krona. The Guts Casino website doesn’t indicate that they support any other language besides English. Guts Casino does not rely on robots for its customer service. All of the customer service representatives are fully knowledgeable and are problem solvers. Methods of customer contact are through email, live chat or through the post. This Casino is operating under MT Secure Trade Ltd. license. This is under the Malta Gaming Authority. Also, the site has the MGA/CRP license, and s adheres to regulations under the Gambling Commission of Great Britain. Guts Casino appears to be one that has done everything right. They have made their site user-friendly with easy navigation, information at a glance, and easy deposit and withdrawal methods. The selection of games available is a full line up, both for slot players and table games. For those who are into sports betting, this too can be enjoyed at Guts Casino.